And this is why I brought cleats. Big cleats. So yes, I’m back. Life continues and so will the posts, though perhaps less frequently. The voices in my head need a way out. Gotta write or bust – and Option #2 sounds painful. And the winner of the Two Year Giveaway is… Amy at Proverbs 31:10! Congratulations! I’ll contact you by e-mail and have your book shipped as soon as possible. Thanks and thanks again to everybody else who participated. I plan on doing one of these every year, so don’t wander off. Also, keep an eye out for the third annual soundtrack giveaway, coming in December – consider yourself warned. As of September 29th, 2012, the Ink Slinger blog has been alive and kicking for two years. I’m two days late acknowledging that, but I figure it’s okay – everybody forgets their birthday once in awhile. I’ve said so before and I’ll say so again: I love to write. And this blog has been a superb outlet for that. As Augustine puts it, “I am the sort of man who writes because he has made progress, and who makes progress by writing.” I am also a Christian, redeemed by grace, and as such, I am commanded “to do all to the glory of God” (1 Cor. 10:31). Writing is no exception. 1. Blogging is a great way to learn about writing. I’ve been blogging for over three years now, but I only got serious about it in the fall of 2010. I was recovering from surgery and had lots of time on my hands, so I got to thinking: why not scrap my old (read: dead and decayed) blog and start a new one? Not exactly a revolutionary idea, I know; but the second time around, my mind was made up: I wanted to do this thing for real. I wanted to stick with it. I wanted to learn more about writing through blogging. For some, blogging is like journaling. How you write doesn’t really matter. The blog is simply a forum for getting your thoughts down “on paper.” And there’s nothing wrong with blogging like that. But I’ve come to value blogging for something else: learning to write well. I still have a lot to learn, but I think I’ve made some progress. And I’ve learned some great lessons along the way. Have I learned all there is to know? Hardly. I’ve only just scratched the surface of what it means to write well. But I’m working on it. And I know for dead sure that the scratches I have made wouldn’t be there without the experience I’ve had blogging. 2. Haste not to publish. This advice is pretty much ubiquitous throughout the blogosphere, but that does not make it any less important. As I’ve pointed out elsewhere (and others have pointed out before me), blogging is not an occupation to be taken lightly. You are in a position of leadership, whether your following consists of one reader or one million. Your thoughts, your beliefs, your opinions are available to the entire cyber world at the click of a button. And because of this “instant access” capability, it’s very easy for us to lose sight of the duty to weigh our words. The advice to think before you speak applies to the blogosphere as well, and I’ve tried not to forget that. It hasn’t always been easy, but I’ve learned the value of chewing on my thoughts before I spit them out. Do I really have anything worth saying on this issue? Or is it better for me to just keep my mouth shut? 3. No spitting, please. As a blogger and reader of blogs, I’ve come to more fully appreciate the differences between good argumentation and bad argumentation. One of the biggest differences between the two is the way they’re communicated. An argument is much more convincing when it’s calm and clear-headed than when it’s spittle-soaked and obnoxious. Am I saying it’s wrong to write with passion? Not at all; if you’ve hung around here long enough, you know I’ve written my fair share of passionate posts. Nor am I saying that we shouldn’t infuse our writing with a little spice now and then – spice can be most helpful, as writers like Mark Steyn can testify. It’s usually pretty easy to tell when a writer is angry and looking for someone or something to stomp on. When that happens, I’m not inclined to stick around for the party. So I take what I learn as a reader and apply it to myself as a writer: if you want people to hear you out, don’t shoot them with rock salt when they sit down to listen. Now, I’m sure there’s a small percentage of the population that enjoys getting shot with rock salt. But they’re masochists. A serious pain in the *cough* posterior. Not the sort of people you want to hang around with, either in the real world or in cyberspace. And if you do want to hang out with them… allow me to show you the door. 4. It’s not trash, so don’t throw it away. Ever come up with a great idea and then fail to find a way to use it? I have. And the temptation is to scrap the idea completely. Don’t do it. Your first option is to look at what you’ve got and tweak it. 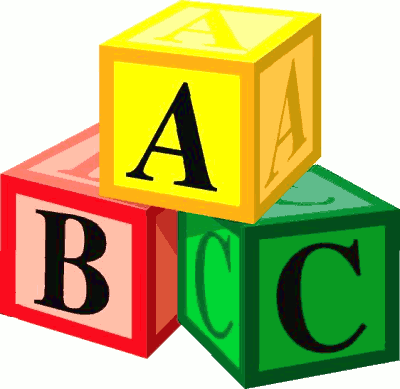 Are you trying to shove a square peg into a round hole? Do some carving. See if you can approach it from a different angle. Get your hands dirty. Mess with your idea. But don’t chuck it away altogether. Even if you can’t use it now, you can probably use it later. I’ve started writing posts, only to give up halfway through because it just wasn’t clicking for me. So I saved my work in draft form and walked away. Weeks, maybe months later, I’ll have renewed inspiration and continue the post as is. Or I’ll rework it into something different. Point is, I don’t throw the stuff away. It’s still there, waiting for me, when I decide to give it another go. 5. Beware the Matrix. Don’t worry: I’m not gonna pull the “crazy sci-fi fanboy” persona on you. No cool sunglasses, slo-mo martial arts, or references to Lewis Caroll. Relax. Breathe deeply. Here’s a blue pill and a red pill – you pick. In all seriousness, bloggers have to be constantly on guard in the area. Getting sucked into the online world, to the exclusion of the real world, is way too easy. I’m not immune to that – no one is. It’s tempting to build a virtual reality for yourself behind the “safety” of your computer screen, to the point of caring less and less about the real world and the people near you. When that happens, you know your priorities (and your sense of reality) are seriously whacked out. 6. Where would I be without music? Yes, yes. I know I said five things, but I felt compelled to throw this in, too. All you mathematicians can sit down now. Music, for me, is both relaxing and energizing. It can’t be anything with lyrics: that quickly derails my train of thought and I’ll find myself typing out the lyrics instead of what I originally wanted to say. Instrumental I can usually work with, though. It gets the creative juices flowing, helps me think more clearly. Jazz is nice, and so is classical – especially if we’re talking Bach, Beethoven or Chopin. Film scores are also a favorite. In fact, if I’m working on a movie review, I’ll often listen to the soundtrack that goes with the film I’m writing about. Some would call it “getting into the zone.” That particular phrasing is a bit weird for my tastes, but it gets the idea across fairly well. Crank up some Hans Zimmer, bro. Let’s get this party started! Thank you very much to Chief of the Least for the Awesome Blog Content nomination. I found your blog through Pastor Cardwell at Justification By Grace, and reading it has been a blessing, an encouragement, an inspiration, and a source of humor. God bless! Tried With Fire – Persis describes herself as “a Christian homeschooling mom, medical transcriptionist, amateur theologue, very amateur writer, house bunny owner, and crafter.” All correct, except there’s nothing amateur about her. Calvinistic Cartoons – Eddie Eddings rocks. ‘Nuff said. Made Free – I’ve known Michael Wright for just over a year now, and he’s one of those guys I’d love to meet and talk to in person. He’s a Christian with a passion for good writing, good reading, good music, and good coffee. The Good Life – You might say I’m biased (it is my Mom’s blog after all) and you’d be right; but you’d also be silly not to check it out. My Mom taught me the good stuff I know about writing. I picked up the bad stuff all by myself. Justification By Grace – Two things: if you aren’t reading Pastor Cardwell’s blog, you’re missing out big time. And if you haven’t read his book Christ and Him Crucified, you’re also missing out big time. Aubrey Hansen – Aubrey is a world-builder, Pixar-geek, and self-published author. She’s got a super sense of humor, too. She has a new book coming out this summer. OK then. I’ll try to do this without totally unveiling my semi-mysterious persona or weirding you out. Feel free to laugh, guffaw, or join the Club of Awesome People. Your choice. B – Books. Don’t ever interrupt me when I’m reading one. C – Cormac McCarthy, one of my favorite writers and the author of my favorite novel. If I could write fiction like he does, and write non-fiction like Carl Trueman does, I’d be the happiest of Ink Slingers. D – Debate. I like to start ’em, participate in ’em, and read ’em. Last year, that tendency got me in trouble and I had a smack-down with an atheist. Here’s what I learned. F – Flotsam & Jetsam. I’ve been gathering it for over a year now, and it’s been tons of fun. I mean, what’s not to like about catching and sharing great links from all around the blogosphere? G – God’s Grace. I truly am nothing without it. H – The Hunger Games. I’m a big fan. The books were phenomenal, and now a movie adaption is hitting theaters this weekend, March 23rd. It’s getting high marks from critics and fans alike so far. And that’s always a good sign. I – Italian food. My favorite. J – Just because texting lingo is the norm doesn’t mean I have to use it or like it… because I don’t and I don’t, respectively. I have only used it one time in my life – and that was so I could make fun of it. K – Klingon. I don’t speak it, but I’m fairly sure my baby brother does. L – Like. These days, I would call it, like, the most overused word in the English language. Y’know what I’m saying? N – Nincompoops. Their bumper stickers make me laugh. O – Orson Scott Card. H.G. Wells. Isaac Asimov. Ray Bradbury. Douglas Adams. Michael Crichton. I plead guilty to the charge of being a Sci-Fi buff. P – Posts. The most popular one ever written on this blog (so far) is about Twilight. Yes, you read that right. No, I’m not kidding. Q – Qi. One of my favorite Scrabble words, because it doesn’t require a u after the q. Qat and qintar and qasida are pretty sweet, too. You’re welcome. 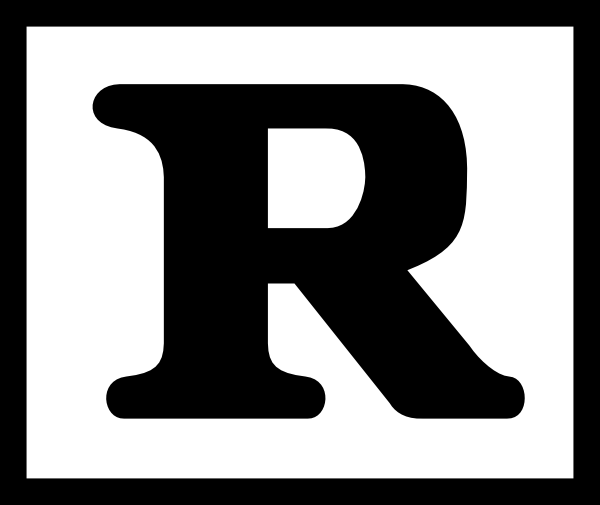 R – Reviewer. I write book reviews here and movie reviews here. I also contribute to Into the Book and The Film Dissectors. Be my guest and check ’em out. If you like what you see, follow. Even better, follow and leave a comment. S – Saving Private Ryan. A true masterpiece, and my all-time favorite film. U – Underhill. You know his identity if you’re a Tolkien fan. V – Vacuous. If you’re unfamiliar with the word, it means empty or lacking in thought. Synonyms include half-baked, inane, and Rob Bell’s theology. W – Worship. If it’s superficial and effeminate, forget it. X – Xenocide. It’s the third book in the Enderverse series, which I’m currently reading. Right now I’m immersed in Speaker for the Dead. Y – “Yuck.” My reaction to tofu, sparkly vampires, and heavy metal. Z – Zombies. I have an ardent interest in them. And depending on who you ask, that either means I’m pretty cool or in need of therapy.